Little-Known, Proven, System Shows You Exactly How to Close 10x More Buyers - Guaranteed! The problem we face as real estate buyer’s agents is no secret. ...and all agents offer the same homes to buyers - houses that are found just a point and click away on the MLS, Zillow and other public websites. Today’s online, all-access, environment makes it nearly impossible for any real estate agent to stand out and achieve a high-level success as a buyer agent. It’s true, the scripts, dialogues and strategies (even those less than a year old) are failing buyer agents in all markets. And you are also going to fail unless you adopt a proven system that works in today’s environment. Simply put: The old ways of getting and converting buyers does not work. ...and working to the tune of nearly $7 million in yearly GCI for the two successful agents you are about to meet. 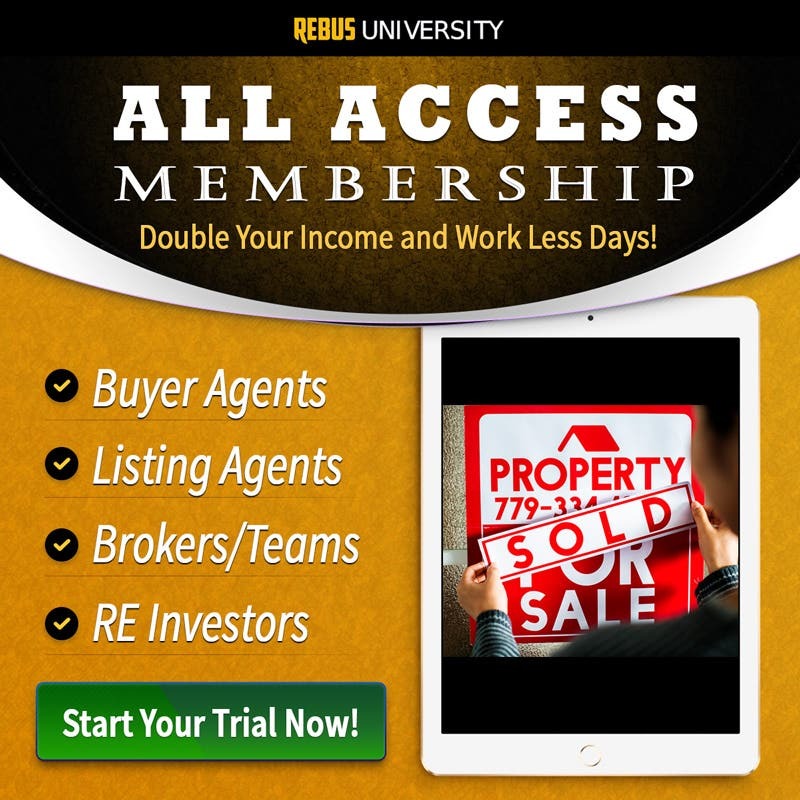 The Certified Buyer Agent from Rebus University! Unlike the majority of real estate agents across the country (and in your local market), you now have access to a turnkey system that is proven to deliver successful results. Billion-Dollar Agents Keri Shull and Daniel Lesniak (creators of the system and your instructors) are in the field using this exact system today to generate nearly $7 million in GCI annually. And their system is now, right here, at your fingertips. And I back that guarantee up with my No-Risk, No-Hassle 30-Day 100% Money Back Guarantee. Ready to stand out, succeed and become the go-to buyer agent in your market? Sounds like you are ready to get started today with the Certified Buyer Agent! How much is just 1 more buyer client and buy-side commission worth to you? Now, imagine what your business will look like when, at a minimum, you 10x your buyer conversions and buy-side commissions. Great course for new agents and some new techniques and ideas for experienced agent. I look forward to the other courses! This course was chock full of information on how to work with buyers to help them through the home purchase process. It explained the importance of setting expectations early on, involving the buyers with the CMA, the settlement day and what happens then and what you should be doing (post closing) to stay top of mind with your past clients. That’s just a handful of what’s in the course...there’s much, much more! Once again...another course that I would highly recommend! I enjoyed learning new techniques through your course. Perfect method of teaching. I enjoyed the course, and though some of the information I knew, there were many great new nuggets I picked out. I would have liked some sort of official certificate emailed so that I could use the Certified Buyer Agent designation on social media to promote my "new skill level" as well as Rebus University. Absolutely amazing! Lots of great information. Can't wait to apply it in real life. I have been a buyers agent for several years and learned so many new and interesting ideas, I know I will be a better agent for my clients. My clients have always been number 1, but now, I understand a bit more of the psychology in the process and will be better equipped to help and serve. Great class! Even being a Realtor for two years, and having gone to kw ,bold class my first broker. I learned some sweet nuggets that I will use. A course definitely important to newly licensed agents ! The material and lessons was right on point. As a new agent, it gave me the knowledge that I needed to fully represent my client. Loved doing the quizzes. This course is the ideal, perfect training course and would set up any new agent for success. It will also propel seasoned agents to greater success. Broker's should require this stuff. Should be a mandatory first step for any new Real Estate agent. Excellent for the New Agent! I have only been in real estate since April. I have had four closings in 2018 and with this information I am sure there are big things to come in 2019!! 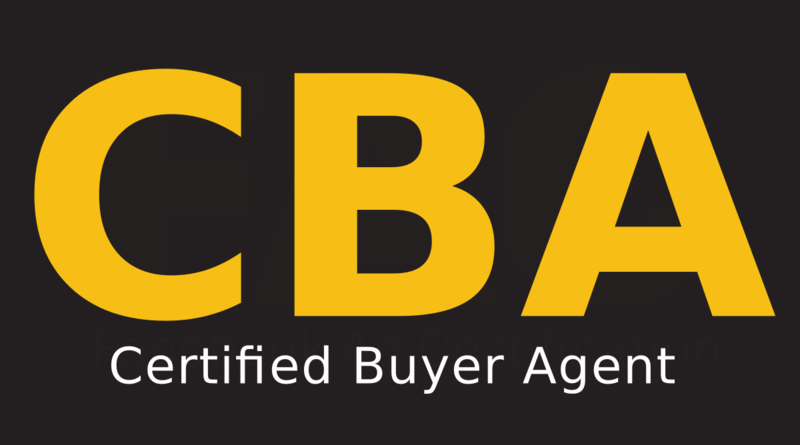 The Certified Buyer Agent program was full of actionable scripts, systems and tips to convert more buyer clients! It also will teach you how to handle those clients with the utmost customer service while being efficient and taking control of the process. Five Stars, thanks Pat, Keri and Dan! Thank you very much . very helpful. I learned a lot from this courses. This Course is filled to the max with high-level strategies to help you and your agents work more efficiently and effectively with the clients/prospects currently in your pipeline. The off-market property strategies could land you at least one new listing this year, not to mention double ending a deal quite possibly. The scripts and role play that they go through work for both single agents and teams alike. Each part of the process of working with buyers is crafted, explained and taught in a way to make you an expert of building a client for life when working through the systems that Keri, Dan, and her team share. Do yourself and your team a favor and jump all in with the course to learn how to work more efficiently and effectively with the buyers you have or new prospects you're generating.